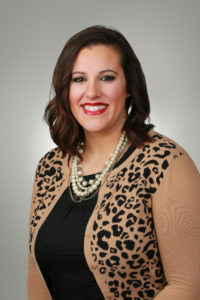 Stephanie began working at Coldwell Banker Devonshire Realty in May 2015 and has become an integral part of the property management team and assists the company in accounting and brokerage as well. Before she began working at Devonshire Realty, she was employed at Elite Bridal and Carle Foundation Hospital. Stephanie graduated high school from St. Joseph-Ogden. She also completed college courses while still in high school at Parkland College focusing on nursing. Stephanie has 2 children and enjoys spending her time with them as well as family and friends. They live in Royal where both children are active in sports and extra-curricular activities. Whenever she is not attending a sporting event for her children she enjoys watching Cardinal baseball and doing anything outdoors.